College is a time where people find themselves, hit the party scene, and spend weekends in questionable places. My weekends? Same thing… kind of. Most Friday and Saturday nights will find me partying it up in Grafton theater. My friends don’t always understand the siren call Grafton sends out, but every time I go there I can feel the stresses of the week wash away amid soothing music and amazing movies. Plus, the delicious popcorn that smells so good while popping tastes even better after 30 minutes of working in the lobby. Sure, the movie messes up sometimes and the theater is cold enough to require a parka, but it is my home-away-from-home. If it weren’t for the little idiosyncrasies, Grafton wouldn’t be the whimsical little theater I know and love. It is because of this love that pushed me to apply to be the Grafton Slide Coordinator! Grafton Slides—yeah those ads you sit and watch in a loop before each show, are mostly made by me. I knew that I loved being in UPB and in the Film committee, but I felt a deeper draw to become more involved. Finance and administration don’t really appeal to me, but the Slide Coordinator has creative freedom to create anything they wanted. I have spent many hours creating promotions for upcoming movies and general UPB events, and though Photoshop can sometimes be vindictive, I have a great time stretching my imagination. It was one of the best decisions of my college career to join UPB and I don’t regret it for a minute. I hope that everyone can find that feeling of a second home during their reign at JMU… meanwhile you can find me chilling in the lobby of Grafton, with the possessed vending machine and wonky lockers, eating my popcorn and drawing up ideas for next week’s slideshow. In keeping with tradition- I am going to start my blog post by commenting on the weather. Is anyone else disappointed by the cold, cloudy days? Well, this weekend is supposed to be beautiful… let’s keep our fingers crossed! If you are looking for a place to escape the cold, come out to Grafton! Our matinee on Sunday was a big success- and Avatar was amazing! Don’t worry if you had to miss it- it’s showing all this week at 9:30. James Cameron creates a wonderful world of glowing rainforests and gigantic creatures that want to kill you. But don’t let that stop you! There is action and romance, and a slight tint of Pocahontas-themed plotlines. Though we don’t have it in 3D, you should still come out to see it. Our 7:00 movie this week is Crazy Heart starring Jeff Bridges and Maggie Gyllenhaal. Bridges plays 57-year old Otis Blake, aka Bad Blake, a country and western singer. However, he is not very popular and only plays in B-rate venues like bowling alleys, and he lives a destructive lifestyle. He is overweight, chain-smokes, and is an alcoholic- which is partially responsible for several failed marriages and an estranged son. While in Santa Fe, Blake begins a relationship with newspaper journalist Jean Craddock (Gyllenhaal) despite the differences in their ages. Blake’s life begins to turn around with the start of this relationship, but with his previous destructive lifestyle- will he be able to live happily? The pressure is on as the end of the semester is coming closer. Save your last threads of sanity by taking a break from studying and writing papers- come out to watch a movie! What a week… 90 degrees each day and not a cloud in sight. Absolutely beautiful! We are getting closer to the end of the semester- a bittersweet time for all students. This weekend Grafton is putting on some awesome events! Our regular Grafton movies are at 7 PM and 9:30 PM, Youth in Revolt and The Young Victoria respectively. This Sunday is our last matinée of the semester- Avatar! At 7- Youth in Revolt is the newest Michael Cera movie. Cera plays Nick Twisp, who falls in love with a beautiful girl while on vacation. Nick Twisp is a boy who takes on multiple personalities and has many misadventures while following the girl- Sheeni- around. 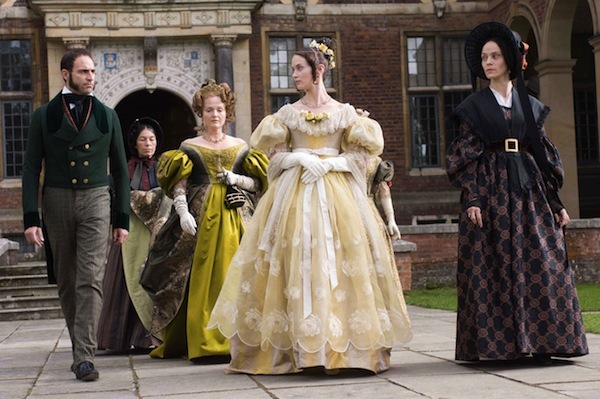 At 9:30- The Young Victoria is a dramatization of the life of Queen Victoria after her coronation and her relationship with Prince Albert during the 1830s. The real icing on the cake though is our matinée. Sunday at 3:00 PM, Grafton will be showing Avatar. After his brother is killed, a paraplegic Marine Jake Sully signs on to take hi s place during a mission to Pandora- a world with strange creatures and a separate race of beings called the Na’vi. In exchange for the intel services that Sully is providing, the military repairs his damaged spinal cord. During his stay on this world, Sully falls in love with a Na’vi native- Neytiri. Sully is forced to make a decision as the military of Earth begin their final stages of conquest. So how about that weather JMU? Pretty nice if I do say so myself. Well, this is the week that I’ve been waiting for all month: Up in the Air and Sherlock Holmes at Grafton! These two movies are great, with an amazing cast of actors. 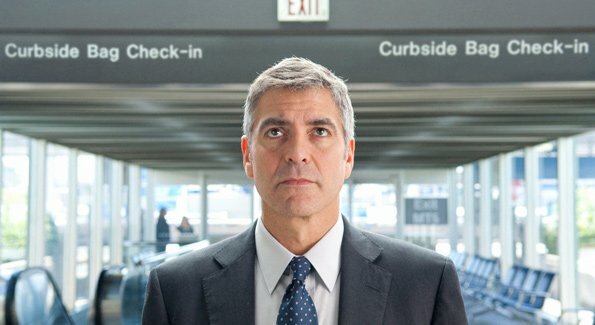 Up in the Air stars George Clooney, a classic favorite, Anna Kendrick, and Jason Bateman from Juno. 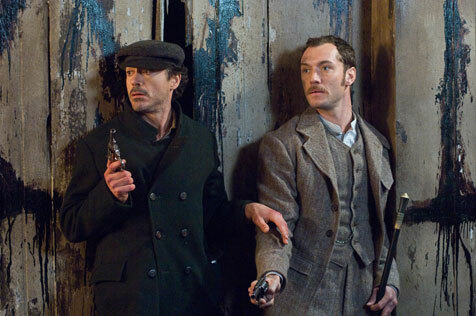 Sherlock Holmes stars Robert Downey Jr. as the infamous detective, Jude Law as his trusty side-kick, Dr. Watson, and Rachel McAdams as Irene Adler. Up in the Air follows Ryan Bingham, a man whose job is to fire people. To do this, he travels to offices all across the US, accumulating frequent flyer miles. When his job is threatened by a new employee who is developing a new system of firing which only requires a webcam and a computer, Ryan is determined to show her the error of her ways by taking her along on his flights. While on this trip together, Ryan realizes that his way of life may not be as perfect as he once thought, and the young employee, Natalie, realizes the full implications of her chosen profession. Everyone loves a good mystery… right? Based on the beloved stories from author Sir Arthur Conan Doyle, Sherlock Holmes follows the case of the mysterious Lord Blackwood, sorcerer extraordinaire, who also appears to have risen from the dead. Holmes is running out of time to solve this tricky case as he deals with Watson’s impending marriage and the temptations of one Irene Adler. Can he solve the crime in time to save the English Parliament? If you have time to take a break from your studies and tanning out on the various fields of JMU- come out to Grafton! This week is sure to be filled with great action and comedy, along with some drama to mix it up. Tickets are only $2.50 and popcorn is 50 cents! As a reminder- if you picked up one of the blue Grafton cups from Crazy Commons, bring them in and get ½ off popcorn. Welcome back JMU! I hope everyone had a safe and amazing Spring Break- and is not too disappointed to be back at school. We have reached the half-way point! Thankfully- Grafton is open this week with two amazing movies to keep you from drowning in tests/papers/projects. 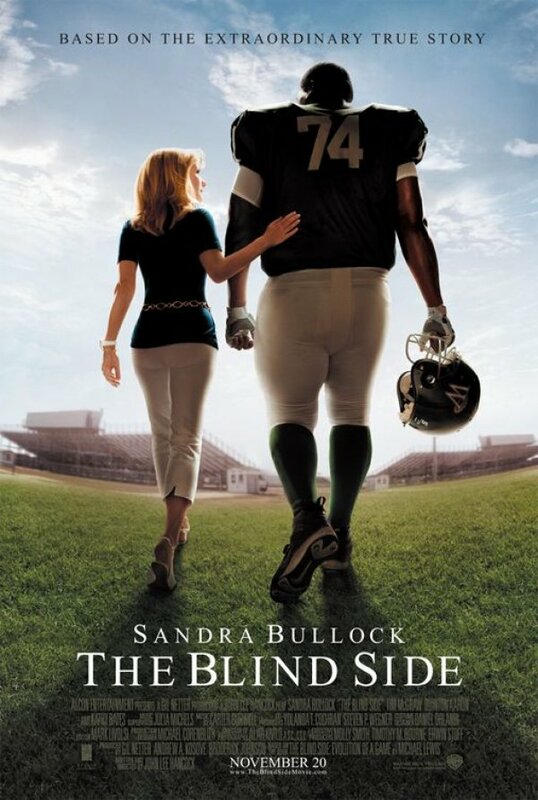 The 7:00 movie this week is The Blind Side, starring Sandra Bullock, Tim McGraw, and Quinton Aaron. The movie follows the journey of Baltimore Ravens offensive left tackle Michael Oher. After being bounced from foster home to foster home, Michael grows into a teen who would rather be homeless than subjected to the foster care system. Michael is befriended by S.J. Tuohy and is brought into their family. He is allowed to be enrolled in the private school where the Tuohy children attend because their football team needs a large player, someone with Michael’s build. The teen now has to face many challenges in order to live with his adopted family. 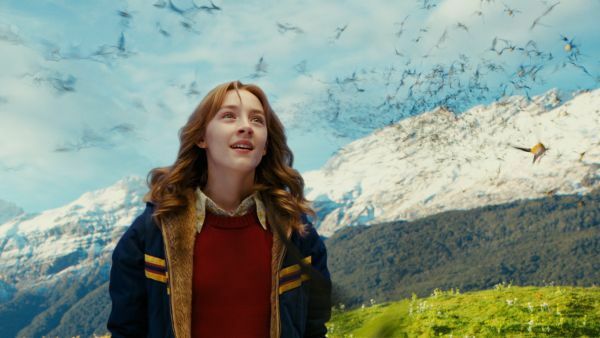 The second movie this week is Peter Jackson’s The Lovely Bones playing at 10:00. Based off a book by Alice Sebold and starring Mark Wahlberg, Susan Sarandon, Stanley Tucci, and Rachel Weisz, this is the story of 14-year old Susie Salmon who is murdered. The account is told from the perspective of Susie while she is in heaven as she watches over her family. She must deal with her desire for retribution and attempting to lead her family to her body. Another week has passed and we are one step closer to Spring Break… hold on JMU- it will get here! To keep you from overloading on classes, Grafton has brought two great movies! At 7:00, we are showing The Princess and the Frog. The first animated Disney movie since Home on the Range in 2004, this film was nominated for many awards, including ‘best original song.’ The story follows Tiana, a young girl working as a waitress in order to save money to start a restaurant- her father’s dream before he passed away. She was struggling until an old friend hired her to cater a party in which Prince Naveen is supposed to be attending. The money received from the friend, Charlotte, is enough for Tiana to buy a place to start her restaurant. However, the realtors tell her that someone else is looking at the property and offered more money. Distraught, Tiana walks out onto a balcony only to find a talking frog. Featuring the first African American “princess,” “The Princess and the Frog” may prove to be one of the best modern Disney movies. At 9:30, we originally had The Blind Side scheduled. However, the film company decided to have an extended release with the Oscars fast approaching, so colleges won’t be able to show the movie until March. However, we are able to bring Brothers Starring Jake Gyllenhaal, Toby Maguire and Natalie Portman, the movie tells the story of two brothers, Sam (Maguire) and Tommy (Gyllenhaal) who are complete opposites. Sam is a Marine about to embark on his fourth tour of duty in Afghanistan, married to his high school sweetheart, and has two young daughters. Tommy is a drifter, fresh out of jail, and getting by on wit and charm. When Sam’s helicopter is shot down, he is presumed dead and Tommy steps in to fill the void in Sam’s family. Through his maturing, Tommy and Grace (Portman) begin to feel a mutual attraction. But Sam is not dead, he was captured by Taliban fighters who tortured him within an inch of his humanity. His unexpected return throws the family for a loop- especially with his new withdrawn and volatile personality. Eventually, the two brothers must confront each other, a challenge that they may not walk away from. So depending on your mood, you have two great movies to choose from. Grafton tickets are only $2.50 with 50 cent popcorn! If you were able to get one of our free Grafton mugs from Crazy Commons on Tuesday, you can bring that in to get ½ off popcorn- only 25 cents! Who can pass up a deal like that? What a week! With all the snow we’ve gotten, I don’t think we’ll see grass until April. But never fear! Grafton is still open and we have a great selection of movies for you this week. At 7:00 we are showing “Fantastic Mr. Fox” which is an animated film about Mr. Fox and his many adventures. In this “coming of age” film, Mr. Fox is trying to consolidate his wild ways with being a father. However, before he puts his wild side behind him, he is going to attempt one last raid on the three meanest farmers. Many great actors contributed to this film, including George Clooney as Mr. Fox, Meryl Streep as Mrs. Fox, and Bill Murray as Badger. It is sure to be an amazing ride! At 9:30, we have a more somber film. “2012” is a film similar to “The Day After Tomorrow,” with the end of the world in sight. The film follows a geophysicist Dr. Adrian Helmsley and author Jackson Curtis as they struggle to prevent the destruction of the entire human race. Though the film is long, it is filled with heart-stopping action and amazing graphics. There are many twists and turns along the way and one never knows who to trust completely… but this film is a must-see and will leave you thinking. Don’t be scared off because of the snow; Grafton will still be standing serving warm popcorn and great entertainment. Be safe everyone and welcome back to the hustle and bustle of actually going to class!